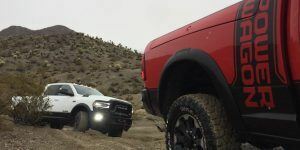 Ram unveiled its completely redesigned range of heavy-duty trucks at the Detroit Auto Show last month. In the meantime, GM has also fired its latest HD-pickup salvo. But hot on those rivals’ rear bumpers is Ford, which has now taken the wrapper off its updated Super Duty family. 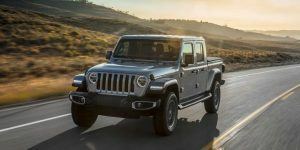 Significantly improved for the 2020 model year, these rigs feature numerous improvements, with updated interior trim, more technology and, of course, a tough new look centered around a series of redesigned grilles, which provide better cooling for the new lineup of engines. These trucks should also deliver the highest payload rating as well as the best conventional, gooseneck and fifth-wheel towing ever offered by a Ford Super Duty. On the technology front, the range gains a standard embedded 4G LTE modem, one that supports up to 10 devices. Wireless charging will also be available, along with USB-C charging ports, pre-collision assist with automatic emergency braking, blind-spot monitoring that works while trailering and much more. The new Super Duty family is also the most thoroughly tested pickup Ford’s ever built. When the range was completely redesigned for 2017, they endured some 12 million miles’ worth of testing. For 2020, they’ve added another 7 million to that total. But the most significant improvements to this pickup family have been made under the hood. Breaking ground, Ford has developed a brand new big-block gasoline V8 engine to offer customers more choice while simultaneously replacing the tried-and-true 6.8-liter V10 that’s used in medium-duty applications. Engineers focused on capability when developing this powerplant, which displaces a healthy 7.3 liters, but durability was every bit as important. Improving longevity and simplifying service, it’s a pushrod design with two valves per cylinder, though it does feature variable camshaft timing and a two-stage oil pump for better performance and efficiency. 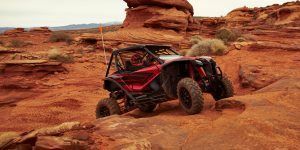 Further enhancing durability is a forged steel crankshaft and piston-cooling oil jets. From its narrow valve covers to those curving, cast exhaust manifolds (certain versions will be made of cast stainless steel for maximum durability), this engine’s exterior brings to mind old Ford V8s that have been out of production for decades, families including MEL, Windsor, Cleveland and 385 series. Easy access to major components, port fuel injection and commonality across different vehicle applications should make this engine easy to keep running in top form, a major concern for fleet customers. A compressed natural gas fueling option will also be available from Ford. Official output numbers have not been released at this point, but Dave Filipe, vice president of global powertrain at Ford said, “This will be the highest rated, most powerful Super Duty gas engine ever.” With significantly more cylinder capacity than Dearborn’s current 6.2-liter V8, which will continue to be offered as a base powerplant, this new engine should have no problem delivering way more horsepower and torque. For reference, the 6.2 is currently rated at 385 horsepower and 430 pound-feet. Aside from that brand-new big-block gasser, the Super Duty’s top powertrain offering has also been heavily revamped. 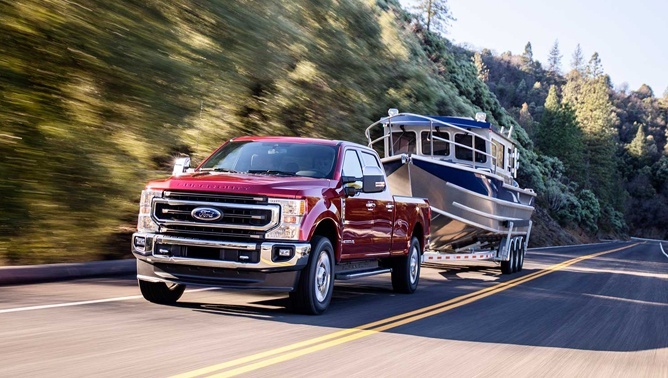 Ford’s third-generation 6.7-liter Power Stroke diesel V8 gains a laundry list of upgraded components for 2020, ranging from the block to cylinder heads, connecting rods and bearings. Even the centrally mounted turbocharger is new, as is the fuel-delivery system, which operates at 36,000 psi (2,482 bar) with injectors that can fire up to eight times per combustion cycle. Filling those eight holes are redesigned pistons. They’re now made of steel, which seems counterintuitive as this material is heavier than aluminum, but they supposedly withstand higher firing pressures and produce less friction. Again, output figures have not been released, but the 6.7-liter Power Stroke currently available is good for 450 horsepower and 935 pound-feet of torque. The new version will deliver more of each, likely eclipsing even the 1,000 pound-feet offered by the high-output Cummins straight-six in the brand-new 2019 Ram HD. The new big-block V8 and updated Power Stroke diesel are the latest engine offerings from Dearborn. Like its latest round of advertising touts, Ford is proud, proud to be the only manufacturer of heavy-duty trucks that does all its engine and transmission work in-house. “We want to own the design, engineering and build of these powertrains,” said Filipe. Ford’s updated Super Duty family will also benefit from an all-new 10-speed automatic transmission, a beefed-up version of the unit seeing duty in a range of blue-oval vehicles, from the F-150 pickup to Lincoln’s Navigator SUV. This is a significant step up from the six-speed unit available in Super Duty trucks today, one that should dramatically improve performance and efficiency. This gearbox also provides a range of driving modes including Tow/Haul, Eco, Slippery as well as Deep Sand and Snow. It can also be fitted with a class-exclusive live-drive power takeoff to run a wide array of useful accessories. Amazingly, this transmission is essentially the same size as the six-speed unit it replaces and is only about 3.5 pounds (1.6 kg) heavier. Pricing and other details about the refreshed 2020 Ford Super Duty range have not been made public just yet, but these trucks will be assembled in both Kentucky and Ohio. They’re slated to go on sale late this year.